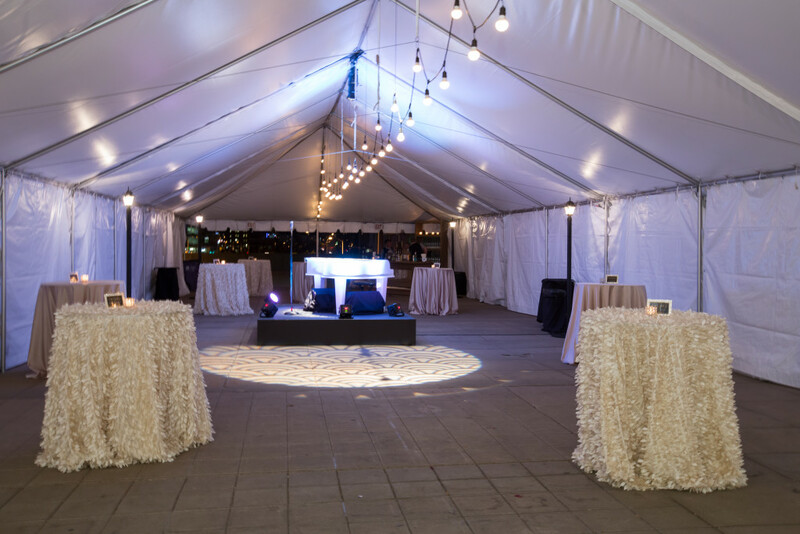 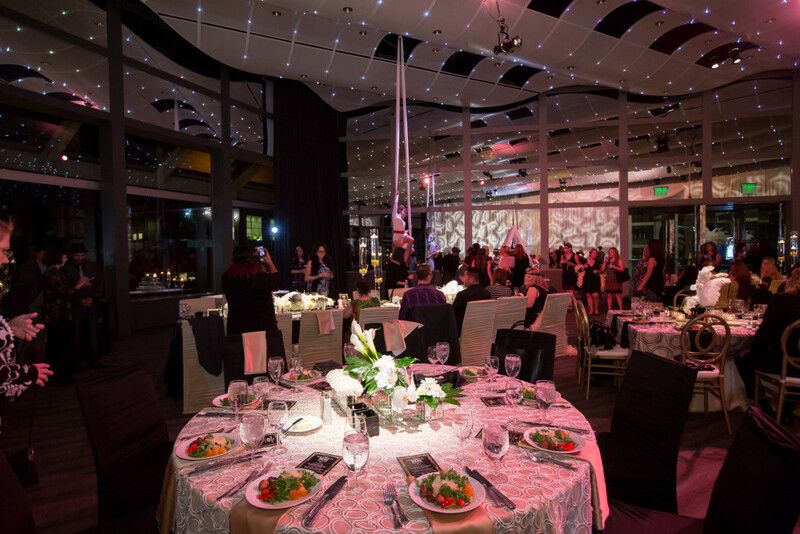 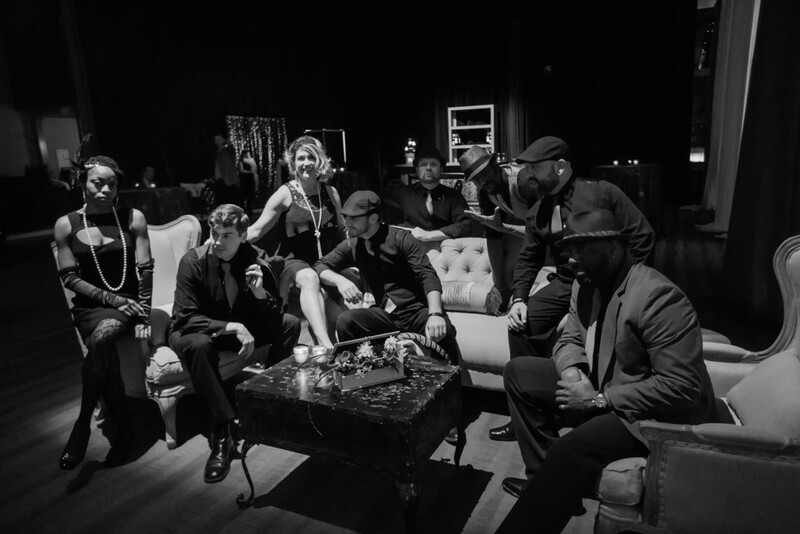 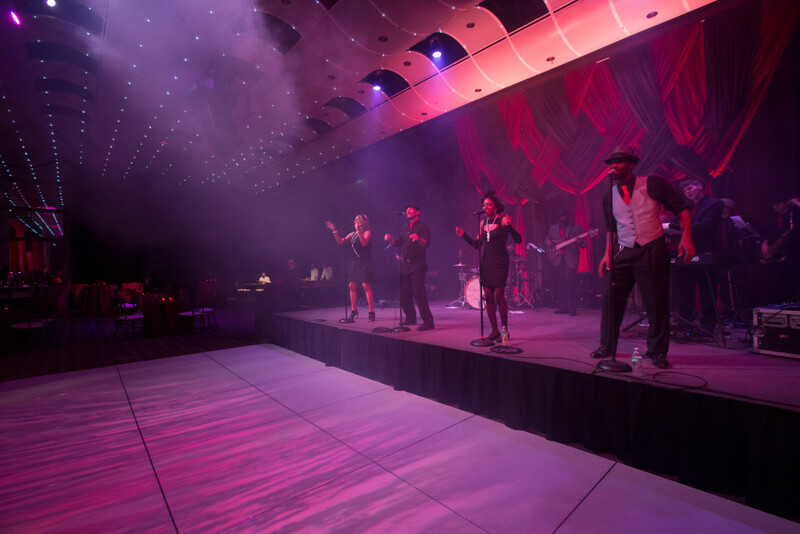 This resounding corporate party for VISIT Denver and the Operation Altitude team was blasted back in time with this Roaring 20’s-theme event. 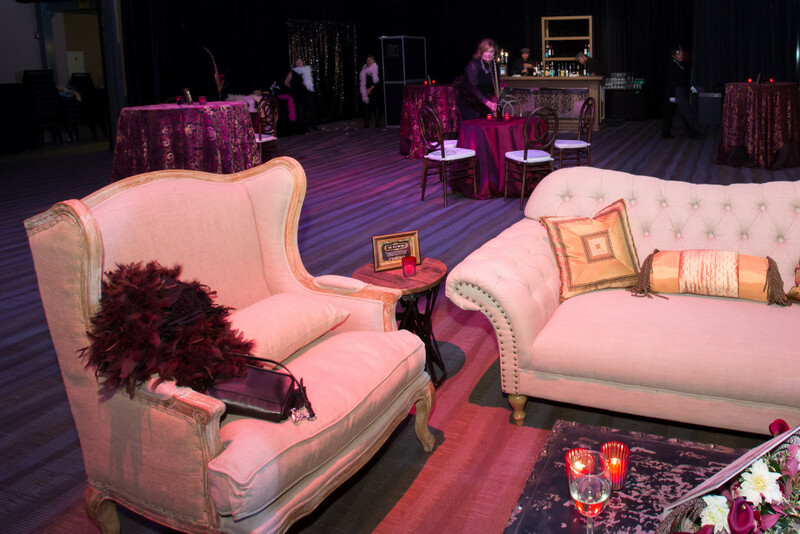 The exuberant, freewheeling nature of the 1920’s was defined by culture’s defiance to the norm. 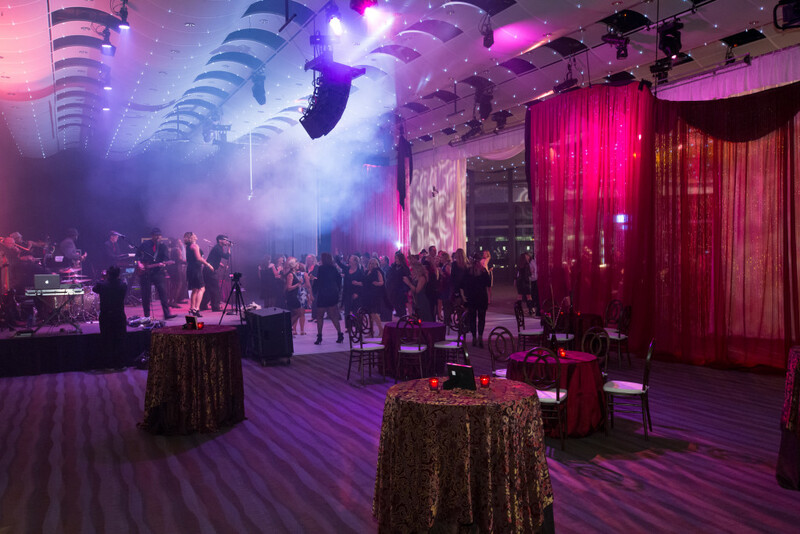 Fast cars, wild youth, and a boisterous voice of prosperity was the drive behind this showstopping night. 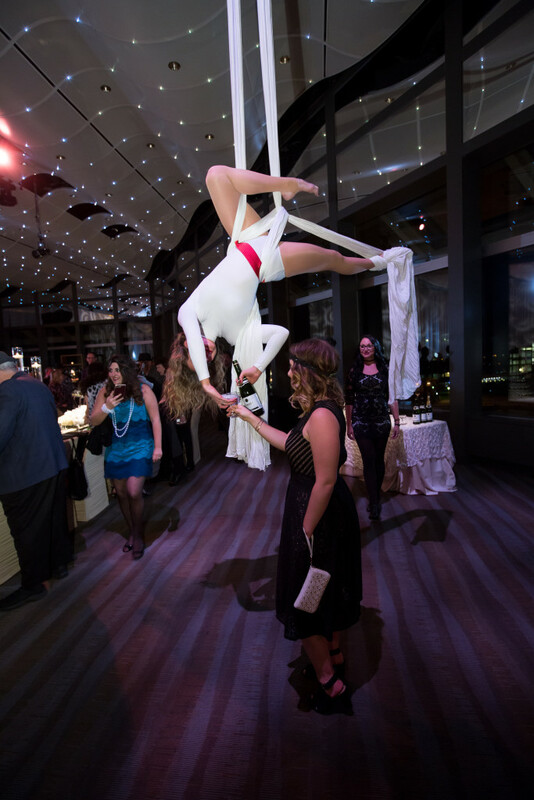 Ladies, hold on to your pearls – and men, your skimmer hats – as we hop in the time machine and explore this extraordinary evening. 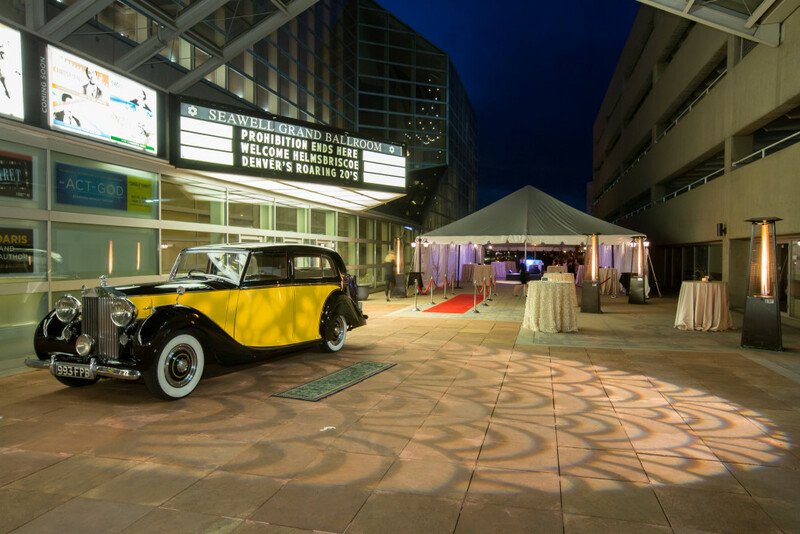 Guests were welcomed by red carpet and an aristocratic 1920’s style Rolls Royce. 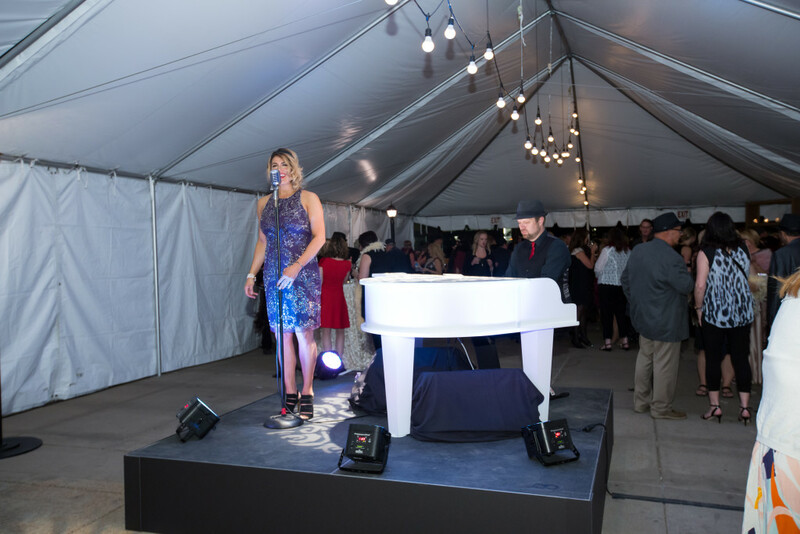 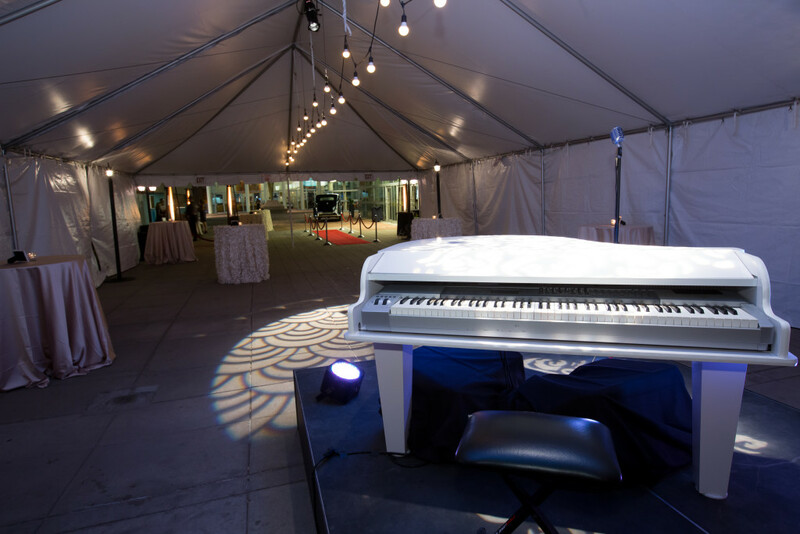 A singer and piano duet serenaded the guests as they sipped cocktails and socialized with their peers. 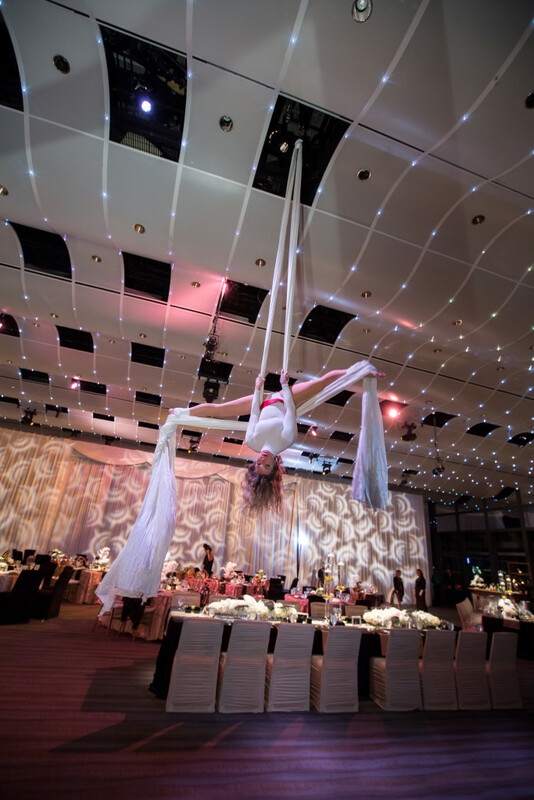 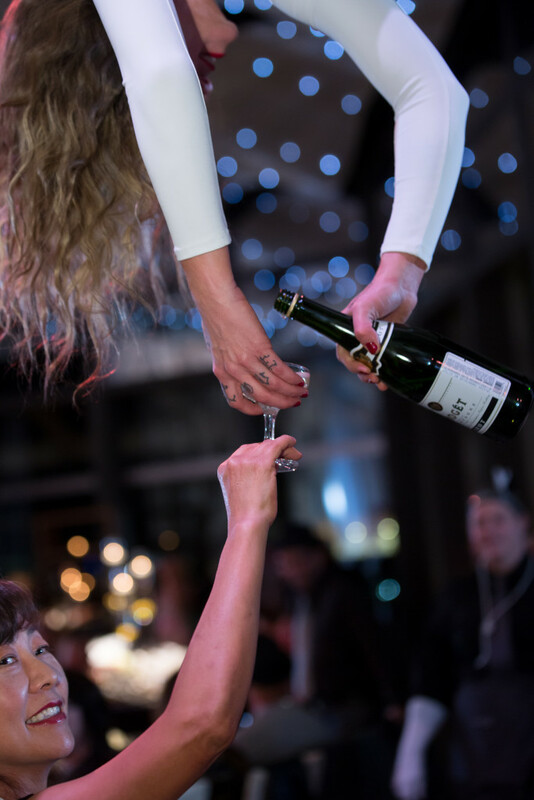 Dinner in the Sewell Ballroom was christened by an aerial acrobat donned in white dropped out of the ceiling to pour champagne to the guests. 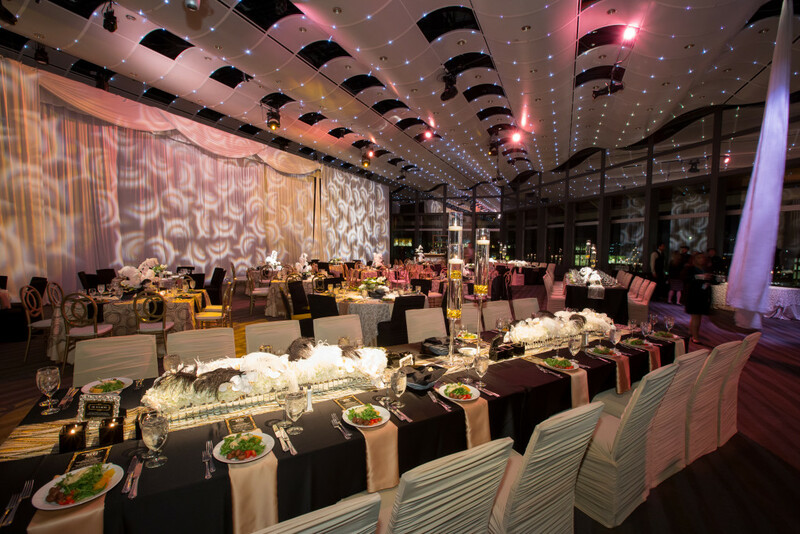 The dining room donned a sophistocated black, silver and white palette with a healthy mix of modern and retro centerpieces. 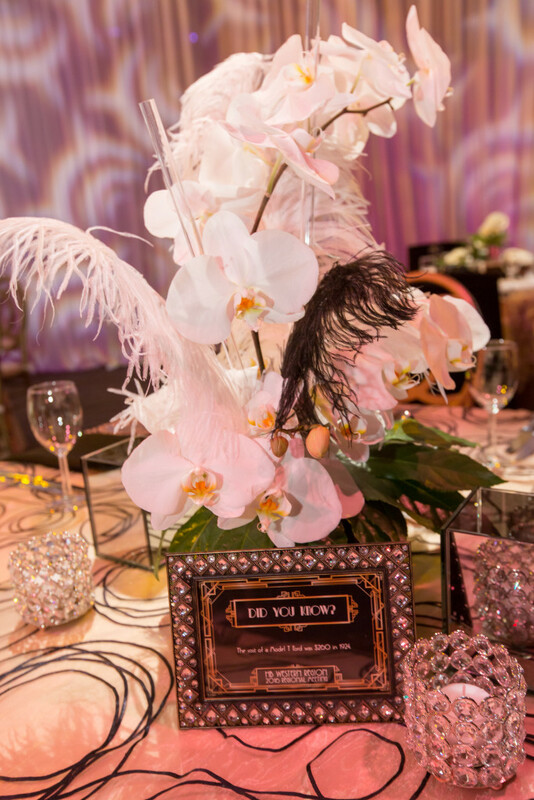 Classically timeless floral in mirrored art-deco containers stretching the width of the table were adorned with oversize white feathers to pop these arrangements back to 1920 with a bit of modern flair. 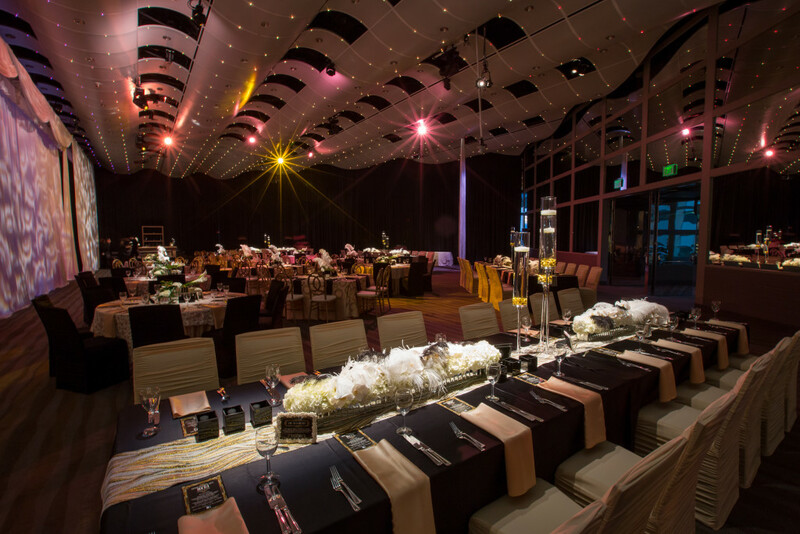 Fun “did you know” facts about Colorado’s 1920’s history got the guests thinking about this revolutionary era. 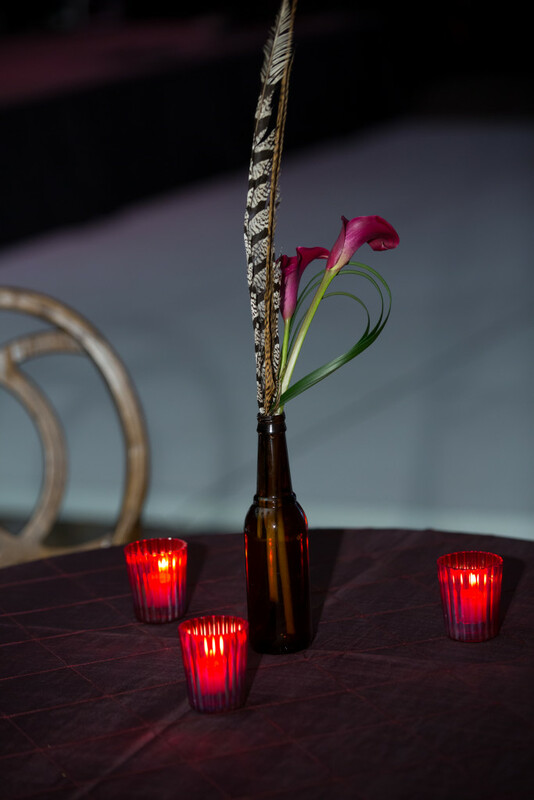 Post dinner, a divider plunged and receded in to the ceiling to reveal the hideaway speakeasy. 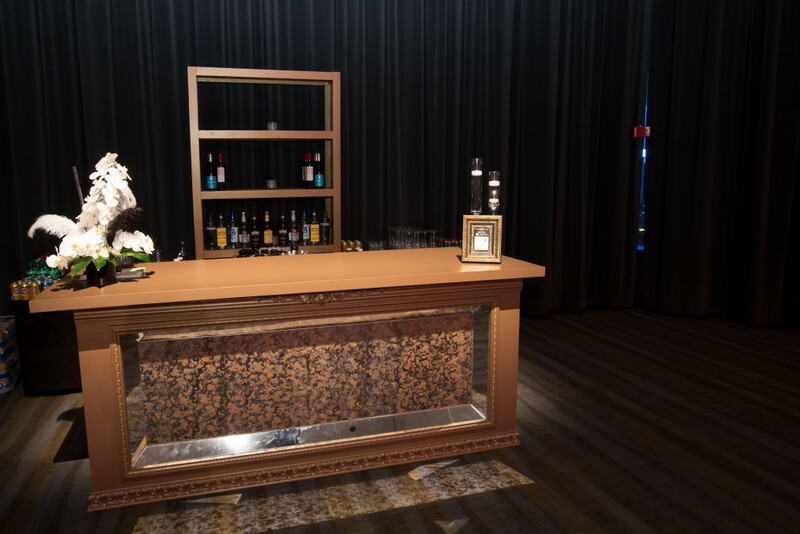 Not one, not two, but three seamless gold bars made their appearance here adding a level of allurement to the night. 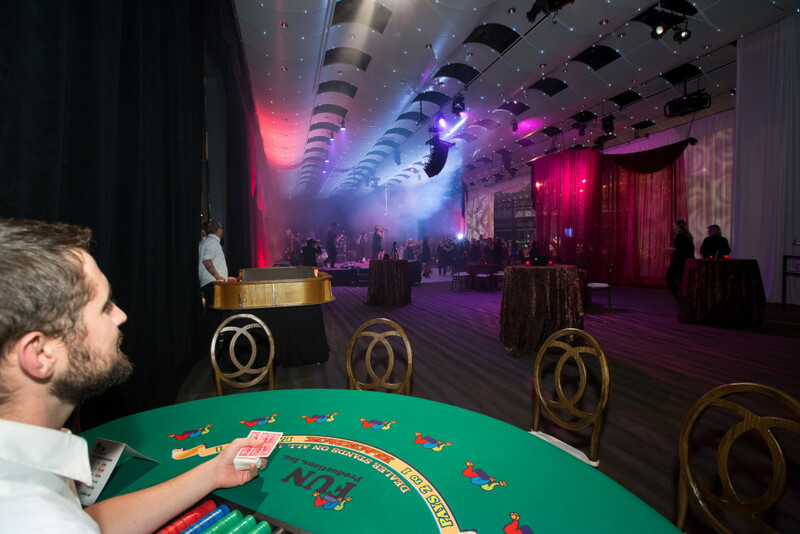 Bring in some table games and a swing band and you’ve got the workings to swing this party to 11! 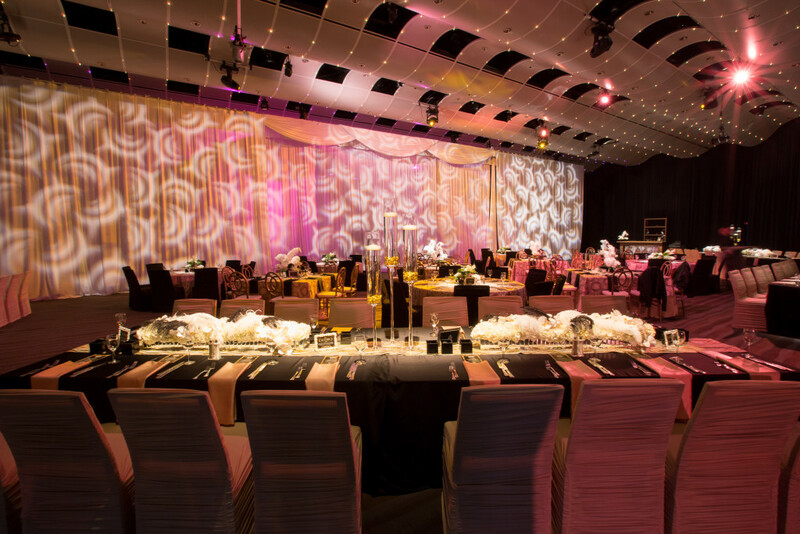 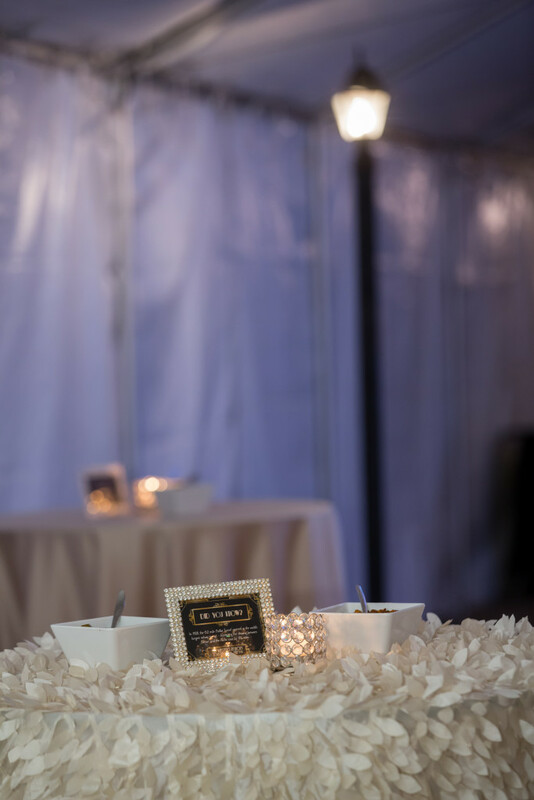 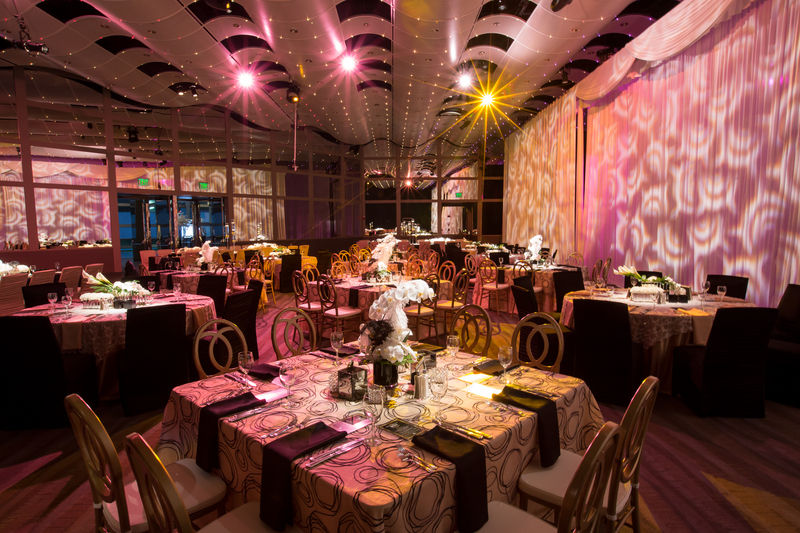 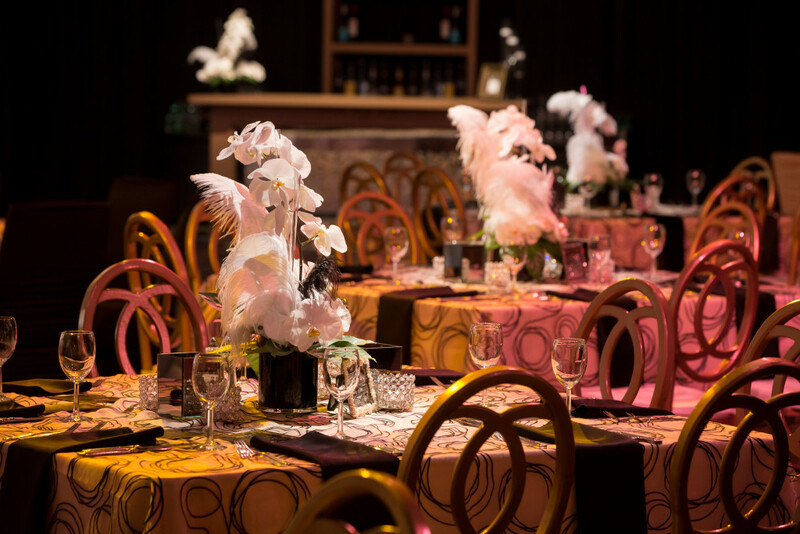 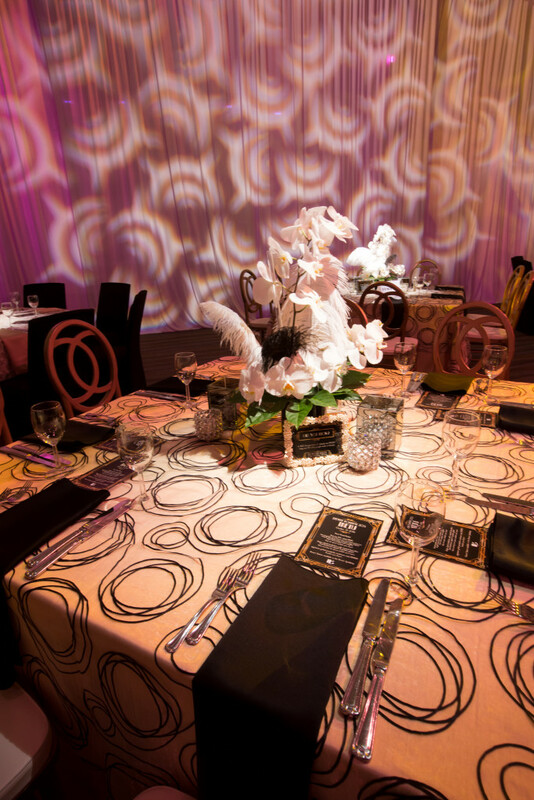 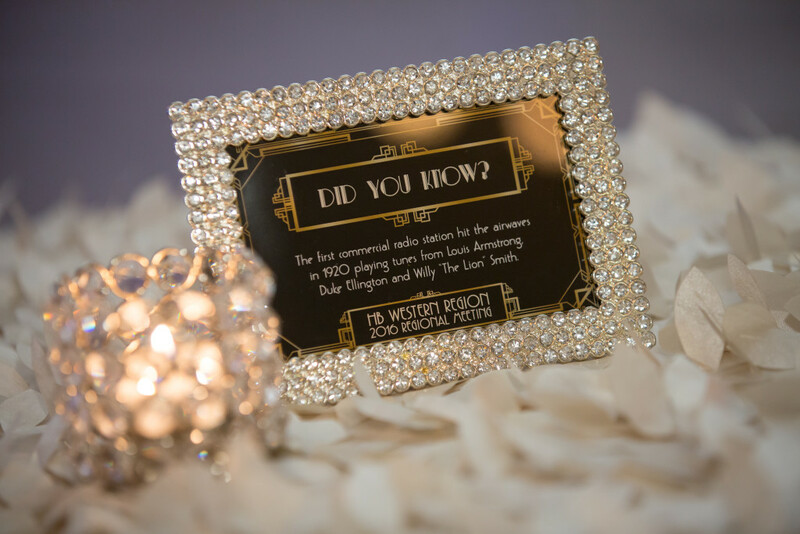 Luscious linens, jazzy lighting, glitz and glamour at the Sewell Ballroom, sending October out with a wiz-bang! 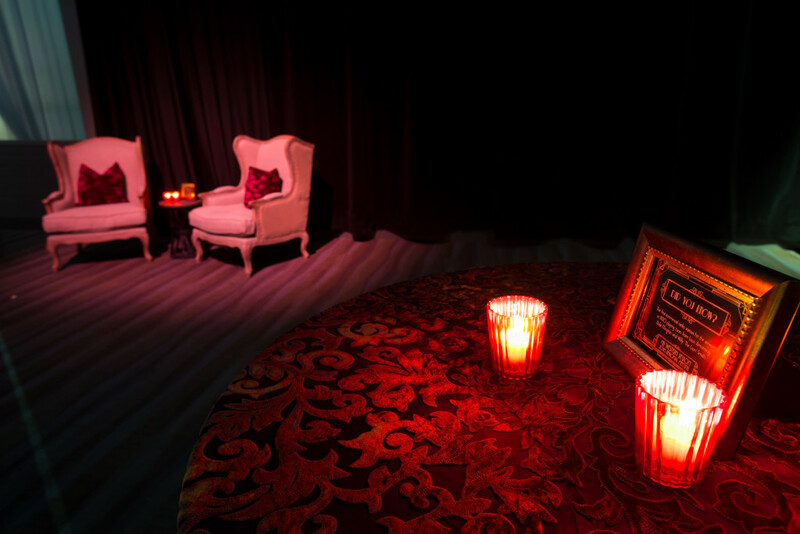 A huge thank you to everyone involved in this event. 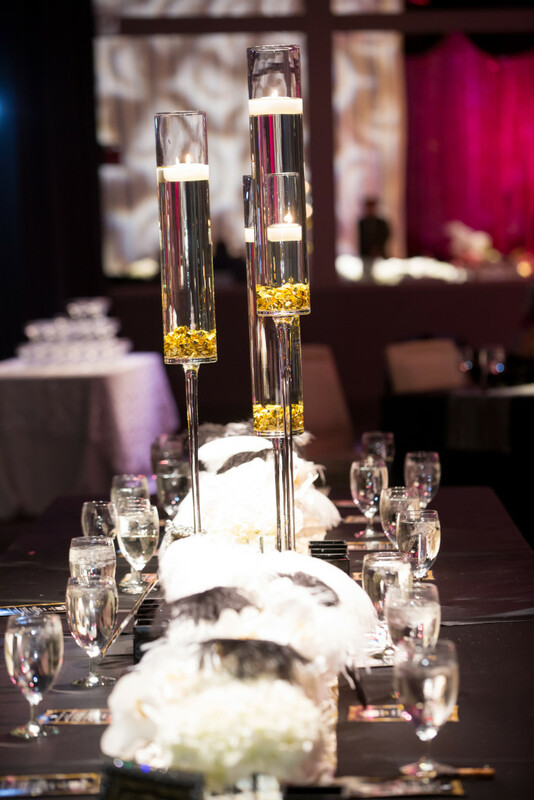 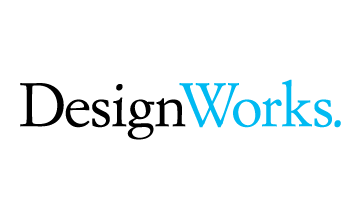 You’re visionaries and you’re the ones who make this event possible!